Brunswick Dental Care: Ecio Pozzi, D.M.D. 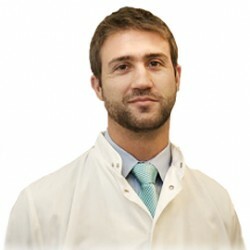 Dr. Ecio Pozzi graduated from the National University of Cuyo in Argentina and subsequently completed the Dental Surgery program at NYU College of Dentistry. He has held the position of Vice President of the Hispanic Dental Association and memberships in a number of additional dental associations. Dr. Pozzi is active in sports and enjoys outdoor activities, including soccer, rugby and motorcycling. He also enjoys spending time with his wife and 2 children.